Southwest Florida’s Gulf Coast – is more than an ideal place to live, work, play and invest in. The Marco Island / Naples region is home of dozens of licensed Florida Realtors and Real Estate Agencies. Marco Island Living suggests working with a licensed FL Realtor when selling property of looking for your ideal Florida home or investment. Southwest Florida is an active and ever-changing real estate market. Contact the local Realtors or Real Estate agents below to the latest information about Marco Island and Naples area ocean front homes, luxury condominiums, timeshare sales and rentals, commercial and investment properties and building lots. Right now is an outstanding time to invest in Marco / Naples area real estate. Ask us about SW Florida Real Estate or share Naples FL Realtor reviews or comments. To feature your FL Realty business, contact us. CENTURY 21 First Southern Trust has worked diligently to help countless clients find their ideal property in Marco Island. From people searching for a condominium that allows them to live right on the beach, to families looking for a stabilizing home, we can help you find just what you need. Attention, vacationers! Find the perfect rental property for your special getaway. Becky Irwin has been Florida resident for more than 30 years. Her family moved full time to Marco Island in 1980 and then to Fort Lauderdale in 1983. Becky is intimately familiar with both the east-coast (Broward) and west-coast (Collier) communities of Florida. A graduate of both St. Thomas Aquinas High School and Florida State University, she has deep roots and connections across South Florida. Becky is a licensed Florida Broker Associate, a member of the Marco Island Area Association of Realtors, Naples Area Board of Realtors and the Realtor Association of Greater Fort Lauderdale. As one of the few organizations entrusted to use the world-renowned Berkshire Hathaway name, we are committed to excellence and look forward to assisting you with all of your real estate services needs! Local Expertise. Global Brand Recognition. Quality Home Watch & Care Services is licensed with Collier County and the State of Florida; Fully insured with liability limits in the amount of $2,000,000. Their trained professionals that will methodically inspect your home and provide a detailed inspection report per visit. Concierge or extra services include Installation and / or removal of storm shutters, Cars driven to & for maintenance purposes, Airport pick up or drop off, Grocery shopping, Forward your mail, Meet contractors or home delivery personnel. 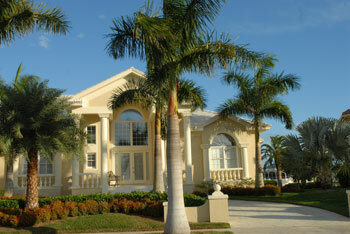 Experienced, Professional Home Services for Lely, Marco Island, Naples, FL.